Shaun Dippnall, co-founder of the Explore Data Science Academy. Explore Data Science Academy (EDSA) interns with a national senior certificate or matric certificate have achieved higher results than those with a tertiary qualification such as a degree or PhD. This is according to the results of the 12-month EDSA Accredited Skills Data Science Programme, offered by the country's first data science-focused institution. Of the 100 interns selected from the over 10 000 who applied for the 2018 intake, 32 were matriculants, with no previous training. The other two groups included those who had post-school qualification and those with no formal qualification. Of these groups, national senior certificate holders ultimately achieved the most surprising results. "Matrics in particular who outperformed are those who worked harder than their peers and came in with a very high aptitude," says Shaun Dippnall, EDSA co-founder. "We can definitely see a shift in younger interns and their almost instinctive approach to technology and problem-solving; they are truly digital natives." Statistically, those learners who worked harder and spent more time on the Amazon Web Services (AWS) machine learning platform, doing the tutorials and viewing videos, were those who achieved the highest results, and were mostly made up of matriculants, according to Dippnall. The EDSA accredited Skills Data Science programme is an agile, digital, peer-to-peer, modern education course that is Seta-accredited and teaches students new economy skills. The students spent the year between the classroom, on-the-job training and team-based project work. Other highlights of EDSA's 2018 intake include the 97% student retention rate and a 100% pass rate, with students achieving an average aggregate of 84% on assignments and exams. "Data science is the new frontier in the digital economy and we have been encouraged by the aptitude of our learners for the tools and the thought process involved," notes Dippnall. "Many of our interns come from marginalised backgrounds so the results prove that matching aptitude with opportunity can overcome circumstances, and that it is possible to leapfrog talent into the digital economy." In addition to the AWS platform, the curriculum includes tools such as Python, PowerBI, SQL and Scikit-learn, which are routinely required when building data science applications. The assignments included high-impact, topical problems to be resolved by the students; among these was the mission to tackle the Cape Town water crisis. "We used the City of Cape Town's open data portal which has made available historical water consumption data by suburb. The students were tasked with creating a database and visualising this data in creative ways. The ultimate goal of the project was to provide deeper insights into the drought and even provide recommendations to alleviate the crisis," notes Dippnall. The interns graduate with a certificate in data science and an employment opportunity. 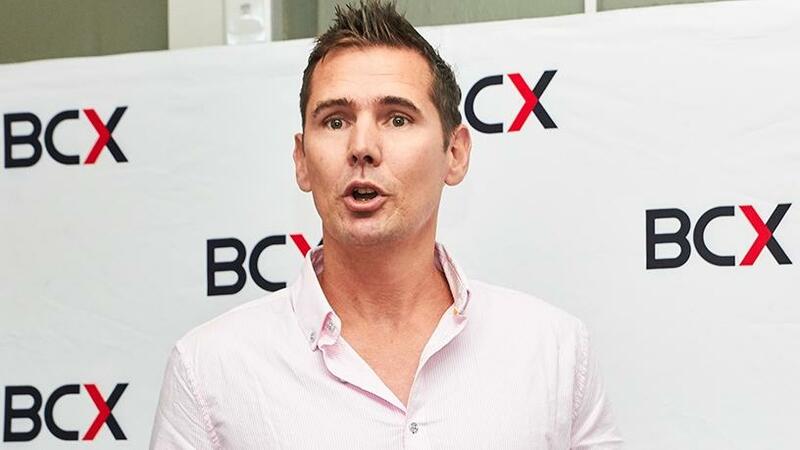 "BCX has committed to hire 30 interns, and 15 have already been employed by other companies. We're quite confident we will get a 90%+ placement ratio." The EDSA was launched in September last year by Dippnall and co-founders, Dave Strugnell and Aidan Helmbold, with the aim of meeting the burgeoning demand for data scientists in the digital economy; a demand that far exceeds current supply. Research has shown there is an estimated global shortfall of 2.5 million data scientists. In the US, most positions for data scientists have not been filled. "The same is true for SA, where there is a shortfall of many thousands, if not tens of thousands of data scientists, so we are pretty confident that if we are producing hundreds of data scientists annually, they should get jobs quite easily given the shortfall." Dippnall says the demand for data science talent has been immense from corporates in SA, particularly those based in Johannesburg. This has pushed EDSA's founders to expand the academy, currently based in Cape Town, to Johannesburg. "Given that Johannesburg is the centre of corporate SA, it is critical that EDSA is where the students and sponsors are. For the 2019 intake, we're planning for 300 interns in Johannesburg and 100 in our Cape Town campus. The new campus, still under construction, is situated in Ameshoff Road in Braamfontein, near Wits University's Tshimologong Precinct." Some Johannesburg-based banks, insurers and retailers have reached out to sponsor students for the 2019 cohort, which begins on 21 January. "Most of these companies are looking for Gauteng candidates who will then flow into their businesses. Also, more than half of our current students are not from Cape Town and chose to relocate to be here for the programme." There are no restrictions to entry for the 2019 Accredited Skills Data Science Programme, nor are formal qualifications required. Applicants should be between 18 and 35 years of age and must pass a series of challenging aptitude tests, an online data science boot camp, a case study and an interview. "For companies that understand the need for our economy to grow in sophistication in parallel with other advanced industrialised countries, while at the same time want to address the crippling problem of youth unemployment, sponsorship of our programme is a golden opportunity to make a real difference."